The company is ranked amongst one of the most promising Exporters and Suppliers of a wide range of ID Cards Accessories in India. Our assorted variety includes Multicolor Lanyards, ID Badge, Multi Card Holder, Retractable Clips, Economic Card Holders and Dual Vertical Card Holders. These ID Cards Accessories are manufactured using the best quality raw materials thus, ensuring durability. Widely used for making ID cards, these ID Cards Accessories are the best choice available in the markets. Further, we provide these ID Cards Accessories in customized designs and sizes, as per the requirement of the clients. We bring forth these Multicolor Lanyards that are attractive and strong. 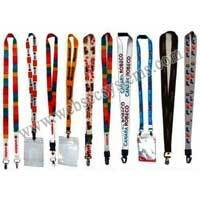 Used for employee ID cards, these Multicolor Lanyards are attachable clips and have soft neck rest. 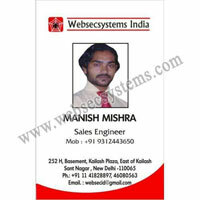 We specialize in offering high quality ID Badge. These ID Badge are ideal for personal as well as official use. A variety of printing inks and pigments can be used on these ID Badge. With Websecsystems India, the clients get multiple choices in sizes, designs and colors. We offer these stylish Multi Card Holders to the clients that are appreciated for superior quality and durability. Made available in different colors and sizes, our Multi Card Holders are very affordable. 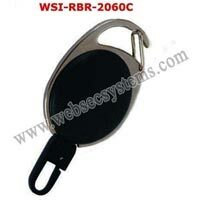 These Retractable Clips available with us are ideally used for holding ID cards safely. Our Retractable Clips are provided with easy open and close plastic hooks at one end and metal pin at the other end. Available with us are these Economic Card Holders that are made from the finest grade plastic. 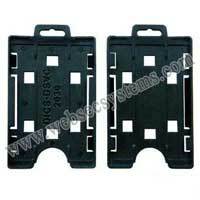 These Economic Card Holders are widely used for school ID, office ID etc. 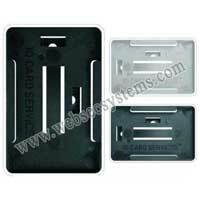 We offer Dual Vertical Card Holders that come with dual attachment facility and full black body. 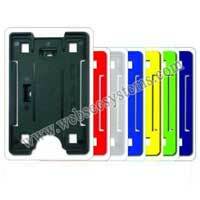 Made using molded ABS plastic, our Dual Vertical Card Holders are very durable.